President’s Message: VFP Goes International With The Launching of VFP – UK! Last weekend, I was privileged to speak at the launching of Veterans for Peace of the United Kingdom. 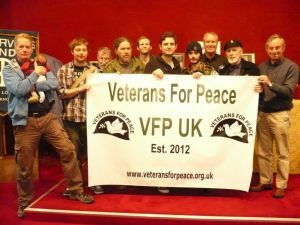 VFP-UK is truly the first international VFP chapter started by veterans who served in the military of a foreign nation. 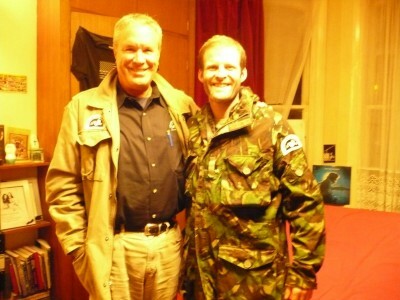 Ben Griffin, a Special Air Service (SAS) veteran of the British Army, is the moving force behind the formation of VFP-UK. Ben’s military service spanned several years and included deployments in Northern Ireland and Iraq. Originally, Ben intended on making the army a career. However, after participating in night raids and dragging Iraqis, who did not appear to be terrorists or pose such threats, out of their homes and turning them over to US forces who then turned them over to interrogation specialists, Ben began to question his role in the military. Prior to being deployed to Iraq for another tour, Ben informed his commanding officer that he would not return to Iraq and would not serve under US command. It was Ben’s good fortune to serve with some understanding officers who were sympathetic to his concerns. With the support of his commanding officer and his outstanding record of service, Ben was released from the army. Thereafter, Ben became an activist for peace. Last July in a chance meeting at a London bookshop, I met Ben after he gave a presentation about the militarization of British schools. I spoke to him about VFP and from there the spark was lit for the formation of VFP-UK. Over the past nine months, Ben has encouraged veterans to join VFP-UK, while continuing his work as an activist against the wars in Iraq and Afghanistan, supporting Bradley Manning and reaching out to other activist groups in the UK. On Monday, April 9, 2012, at the large Catholic Worker house and hall in London, VFP-UK was born. Gerry Condon, a member of the national board of VFP, attended the gathering, and spoke about his experience as a conscientious objector during the Vietnam War. 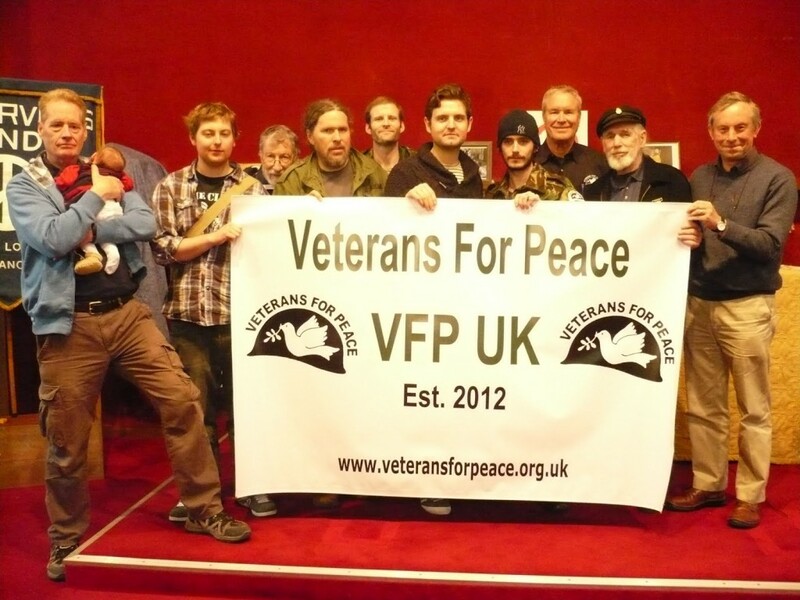 Other British Army and Navy veterans who served as long ago as D-Day to as recently as the wars in Iraq and Afghanistan shared their stories of how they became members of VFP-UK. One of the veterans, Scott Albrecht, a US Air Force veteran, who has lived in England for 30 years, told of his decision to seek a release from the Air Force as a conscientious objector after loading Air Force planes with nuclear weapons for most of his tour. Rather than cause adverse publicity, the Air Force assigned Scott to the base exchange selling ‘gum and candy’ (his words) for the final months of his active service. Mike Lyons of the Royal Navy, who served aboard a nuclear submarine, told of the influence of the Wikileak documents on his decision seek release from his naval service. When he refused to deploy with his ship and sought status as a conscientious objector, he was sentenced to 7 months in prison. The stories of these VFP brothers in the UK were inspiring to all who attended this inaugural meeting. Both Gerry Condon and I expressed to those present our solidarity with VFP-UK and pledged our continued support. For more information and pictures go to veteransforpeace.org.uk. As I stated above, VFP-UK is the first chapter started by veterans who have served in the military of a foreign nation. There is currently a chapter in Vietnam organized by US veterans living in Vietnam. Hopefully, we will see the day when VFP chapters spring up around the globe working in solidarity for Peace.